Contour plowing, Pennsylvania 1938. The rows formed slow water run-off during rainstorms to prevent soil erosion and allows the water time to infiltrate into the soil. Soil conservation is the preventing of soil loss from erosion or reduced fertility caused by over usage, acidification, salinization or other chemical soil contamination. Contour ploughing orients furrows following the contour lines of the farmed area. Furrows move left and right to maintain a constant altitude, which reduces runoff. Contour ploughing was practiced by the ancient Phoenicians, and is effective for slopes between two and ten percent. Contour plowing can increase crop yields from 10 to 50 percent, partially as a result of greater soil retention. Terracing is the practice of creating nearly level areas in a hillside area. The terraces form a series of steps, each at a higher level than the previous. Terraces are protected from erosion by other soil barriers. Terraced farming is more common on small farms and in underdeveloped countries, since mechanized equipment is difficult to deploy in this setting. Keyline design is an enhancement of contour farming, where the total watershed properties are taken into account in forming the contour lines. Tree, shrubs and ground-cover are effective perimeter treatment for soil erosion prevention, by impeding surface flows. A special form of this perimeter or inter-row treatment is the use of a “grass way” that both channels and dissipates runoff through surface friction, impeding surface runoff and encouraging infiltration of the slowed surface water. Windbreaks are sufficiently dense rows of trees at the windward exposure of an agricultural field subject to wind erosion. Evergreen species provide year-round protection; however, as long as foliage is present in the seasons of bare soil surfaces, the effect of deciduous trees may be adequate. Cover crops such as legumes plant, white turnip, radishes and other species are rotated with cash crops to blanket the soil year-round and act as green manure that replenishes nitrogen and other critical nutrients. Cover crops also help suppress weeds. Soil-conservation farming involves no-till farming, “green manures” and other soil-enhancing practices. Such farming methods attempt to mimic the biology of barren lands. They can revive damaged soil, minimize erosion, encourage plant growth, eliminate the use of nitrogen fertilizer or fungicide, produce above-average yields and protect crops during droughts or flooding. The result is less labor and lower costs that increase farmers’ profits. No-till farming and cover crops act as sinks for nitrogen and other nutrients. This increases the amount of soil organic matter. Repeated plowing/tilling degrades soil, killing its beneficial fungi and earthworms. Once damaged, soil may take multiple seasons to fully recover, even in optimal circumstances. Critics argue that no-till and related methods are impractical and too expensive for many growers, partly because it requires new equipment. They cite advantages for conventional tilling depending on the geography, crops and soil conditions. Some farmers claimed that no-till complicates weed control, delays planting and that post-harvest residues, especially for corn, are hard to manage. Salinity in soil is caused by irrigating with salty water. Water then evaporates from the soil leaving the salt behind. Salt breaks down the soil structure, causing infertility and reduced growth. The ions responsible for salination are: sodium (Na+), potassium (K+), calcium (Ca2+), magnesium (Mg2+) and chlorine (Cl-). 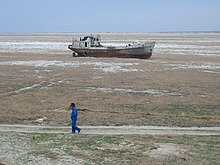 Salinity is estimated to affect about one third of the earth’s arable land. Soil salinity adversely affects crop metabolism and erosion usually follows. Salinity occurs on drylands from overirrigation and in areas with shallow saline water tables. Over-irrigation deposits salts in upper soil layers as a byproduct of soil infiltration; irrigation merely increases the rate of salt deposition. The best-known case of shallow saline water table capillary action occurred in Egypt after the 1970 construction of the Aswan Dam. The change in the groundwater level led to high salt concentrations in the water table. The continuous high level of the water table led to soil salination. Use of humic acids may prevent excess salination, especially given excessive irrigation. Humic acids can fix both anions and cations and eliminate them from root zones. Planting species that can tolerate saline conditions can be used to lower water tables and thus reduce the rate of capillary and evaporative enrichment of surface salts. Salt-tolerant plants include saltbush, a plant found in much of North America and in the Mediterranean regions of Europe. Yellow fungus, a mushroom that assists in organic decay. When worms excrete egesta in the form of casts, a balanced selection of minerals and plant nutrients is made into a form accessible for root uptake. Earthworm casts are five times richer in available nitrogen, seven times richer in available phosphates and eleven times richer in available potash than the surrounding upper 150 millimetres (5.9 in) of soil. The weight of casts produced may be greater than 4.5 kg per worm per year. By burrowing, the earthworm improves soil porosity, creating channels that enhance the processes of aeration and drainage. Other important soil organisms include nematodes, mycorrizha and bacteria. Degraded soil requires synthetic fertilizer to produce high yields. Lacking structure increases erosion and carries nitrogen and other pollutants into rivers and streams. Each one percent increase in soil organic matter helps soil hold 20,000 gallons more water per acre. To allow plants full realization of their phytonutrient potential, active mineralization of the soil is sometimes undertaken. This can involve adding crushed rock or chemical soil supplements. In either case the purpose is to combat mineral depletion. A broad range of minerals can be used, including common substances such as phosphorus and more exotic substances such as zinc and selenium. Extensive research examines the phase transitions of minerals in soil with aqueous contact. Flooding can bring significant sediments to an alluvial plain. While this effect may not be desirable if floods endanger life or if the sediment originates from productive land, this process of addition to a floodplain is a natural process that can rejuvenate soil chemistry through mineralization. ^ Panagos, Panos; Borrelli, Pasquale; Meusburger, Katrin; Alewell, Christine; Lugato, Emanuele; Montanarella, Luca (2015). “Estimating the soil erosion cover-management factor at the European scale”. Land Use Policy. 48: 38–50. doi:10.1016/j.landusepol.2015.05.021. ^ Panagos, Panos; Imeson, Anton; Meusburger, Katrin; Borrelli, Pasquale; Poesen, Jean; Alewell, Christine (2016-08-01). “Soil Conservation in Europe: Wish or Reality?”. Land Degradation & Development. 27 (6): 1547–1551. doi:10.1002/ldr.2538. ISSN 1099-145X. ^ United States. Department of Agriculture, National Agricultural Library (1943-01-01). Contour farming boosts yields: a farmer’s guide in laying out key contour lines and establishing grassed waterways. [Washington, D.C.] : U.S. Dept. of Agriculture. ^ a b c d e f Goode, Erica (March 10, 2015). “Farmers Put Down the Plow for More Productive Soil”. The New York Times (New York ed.). The New York Times Company. p. D1. ISSN 0362-4331. OCLC 1645522. Retrieved April 5, 2015. ^ Bill Mollison, Permaculture: A Designer’s Manual, Tagari Press, (December 1, 1988), 576 pages, ISBN 0908228015. Increases in porosity enhance infiltration and thus reduce adverse effects of surface runoff.